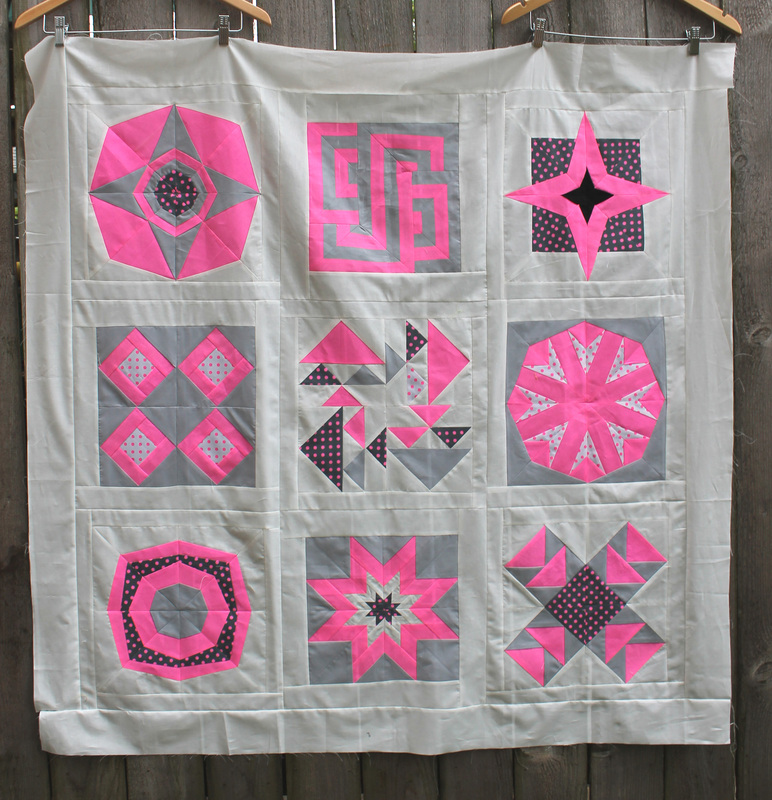 This week I managed to finish my Neon pink quilt top…finally. I must admit I procrastinated lots and lots about how to get the different sized blocks to work. Finally two of my fellow PMQG partners in crime suggested the same solution… border the blocks with white and then cut them down to the same size. Michelle and Kimberly’s genius idea saved my head from exploding from a math over exertion. 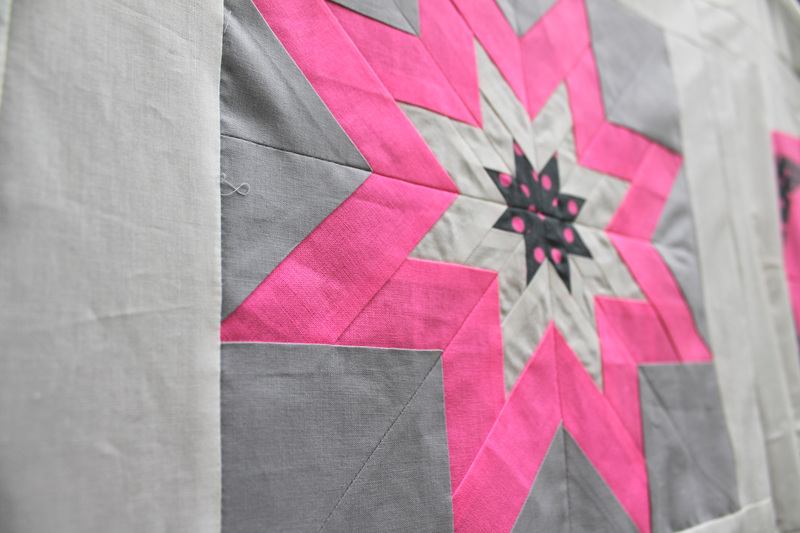 This quilt started life as two orphan blocks from a PMQG Michael Miller challenge last year – an 11 inch star block and an 11 inch modern line block. They were too fabulous not to do something with… and so I made some supporting blocks. 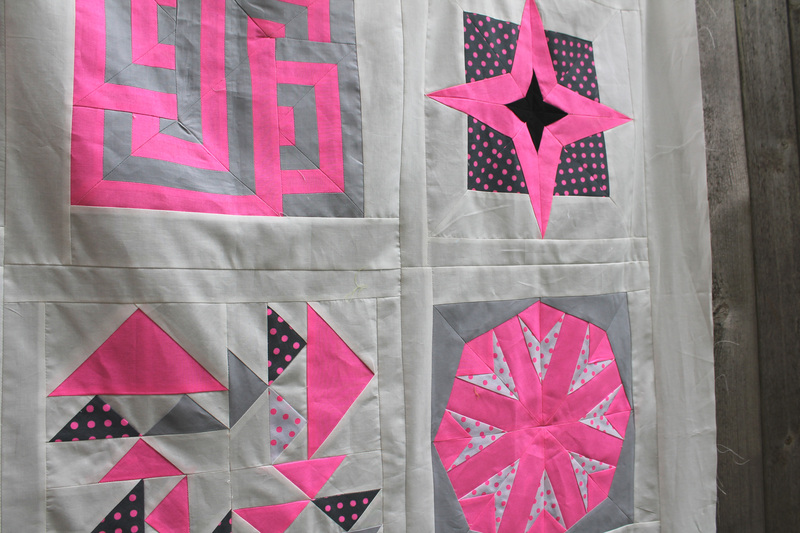 You can find paper piecing patterns for most of these blocks under the “free paper piecing patterns” tab if you are interested. . The fabric used is all Michael Miller… the Neon range in pink, with Cotton Couture in Soft White and my new go to grey Fog. 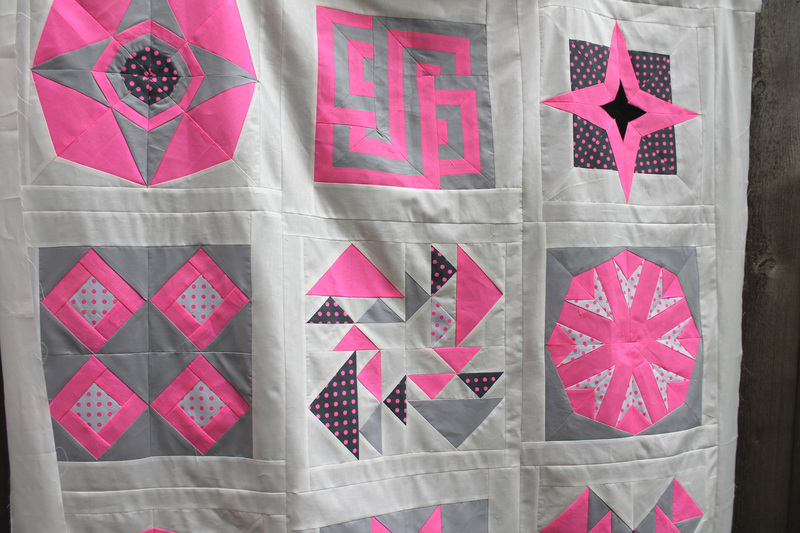 The grey really does a wonderful job of toning down the Neon overload!